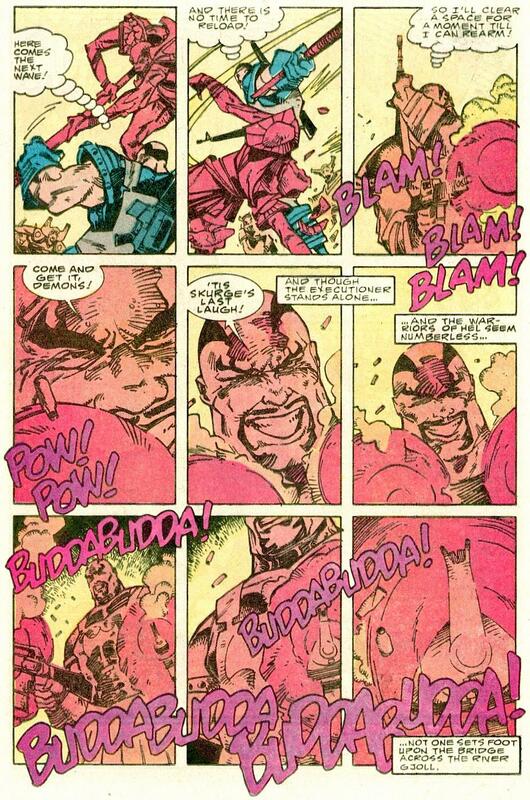 One of the most memorable moments of Skurge the Executioner was his death. He valiantly battles the entire demon army of Hel to allow his comrades to escape. He positions himself over the bridge called Gjallerbru and lets no one pass. Eventually he is swarmed and killed. His last stand though is so legendary that heroes and villains alike comment on it in the Marvel universe. He even earned the grudging respect of Hela whose minions he was slaying. 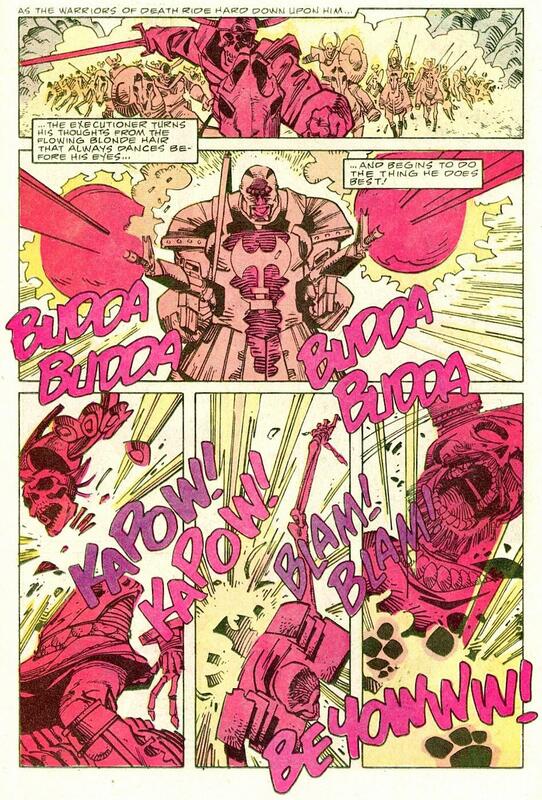 Karl Urban's version of Skurge may pay homage to this event in the film Thor Ragnarok see picture at bottom. "He stood alone at Gjallerbru. And that answer is enough." Skurge had long been a henchmen of the Enchantress and felt his name had been tarnished by years of misdeeds. In Hel he sought a warrior's redemption the only way a true warrior knows how. The scene is a similar to a few battles that have happened in history where a bridge is held by a berserker or a great warrior and not letting anyone pass. A couple of historical battles that the scene could based off of are the Spartans at Thermopylae (Depicted in the 300) and of a large dane axe weilding bersker holding the bridge in the battle of Stamford Bridge.. 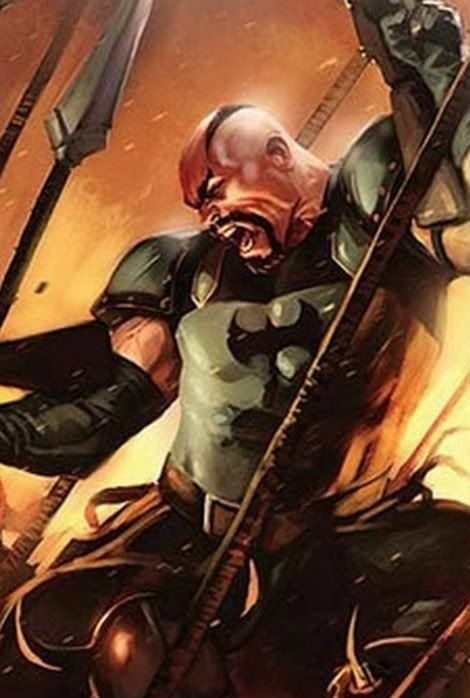 Both Skurge and Hela are in the film of Thor Ragnarok and this scene may be depicted in the film in one way or another. The group hits a point where someone needs to hold back the forces of Hel to allow the prisoners from Midgard and the rest of the group to escape. Thor decides it should be him. However, Skurge has other plans. When Skurge knocks out Thor initially the Asgardians acuse him of being a traitor. They debate if they should kill him right there. But then Skurge explains himself. He spent much of his life as a thrall to the Enchantress. His loyalty to her was absolute but she simply used him and tossed him aside. He then was tricked by Hela when entering Hel and he feels tired of being used and laughed at. He sees this as his opportunity to have the last laugh. He asks Balder to share his last laugh with Thor back when they are back to safety. He sends everyone back. He will stand alone against the horror to come. The forces of Hel pour upon the bridge but he does not budge. Actor Karl Urban plays Skurge in the film Thor Ragnarok. The film features Hela as a primary villain and she of course is also a major character in the Skurge Last Stand story. It is unknown if the event of his last stand will be depicted but the trailer certainly points toward this. Skurge is shown with M16 in hand firing at unknown assailants. This seems to be clearly taken from the comic material of his death. I really hope that line makes it in. A new Skurge theater standee is shown that looks fantastic. This has him with his more iconic axe. Cool pictures and comic panels of the Enchantress!